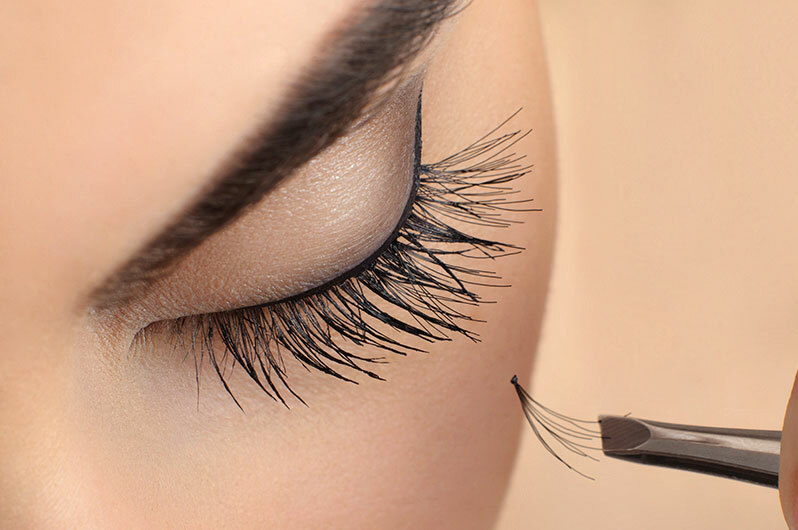 William James Hair & Skin Studio eyelash extension experts provide your lashes with a fuller and more glamorous look. Increasingly popular, eye lash extensions have become a time-saving alternative to the basic lash curler or store bought products by offering better and bolder results. Choose from a range of lengths and volume thickness options available at our salon for either special occasions or every day wear. Eyelash extensions dramatically duplicate your natural lashes. A painless and simple procedure, the extension is not applied to the skin, but to the natural eyelash itself, in single or volume extensions according to the look you wish to achieve. Our salon offers patrons a secure and comfortable environment for eyelash extensions applied by our licensed and experienced William James Hair & Skin Studio technicians who use only safe, non-toxic adhesives that will not harm your eyes. Since eyelash extensions normally take approximately 2 hours, many clients take advantage of this time to relax and get some beauty rest! Touch ups are required every two to four weeks to accommodate the regrowth of your natural lashes. William James Hair & Skin Studio offers a full range of eyelash extension lengths, thicknesses and colors. Customize your lashes to suit a special occasion, or your particular needs. William James Hair & Skin Studio estheticians can advise you on the most suitable length and thickness according to the condition and type of your natural lashes. Call to book an appointment at our salon. When applied by an experienced professional, eyelash extensions offer the chance for long, thick beautiful lashes that enhance your entire appearance. William James Hair & Skin Studio staff offer expert advice to assist clients with making the most informed and beauty decisions for not only enhance your style, but protect your health and safety.